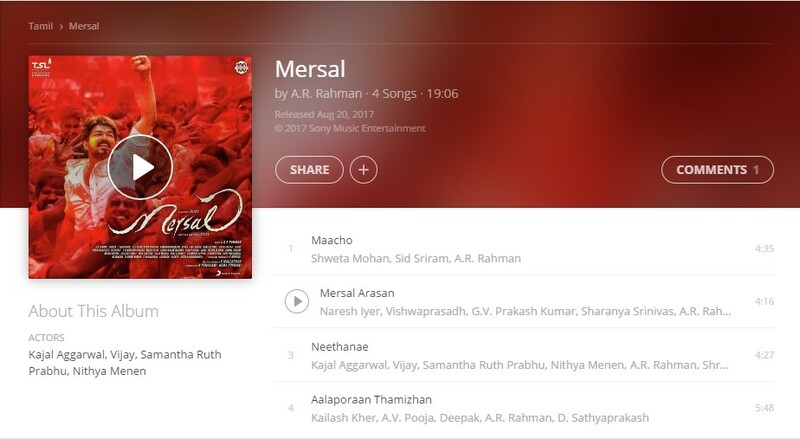 Thenandal Studio Limited’s Mersal album is finally released online. While the Audio launch event is also going on as per the schedule. Ilaya Thalapathy Vijay’s Mersal Audio launch has officially started and going well with the speech of actor Parthiban, actor Dhanush as a fan and friend of Vijay, and the producer Hema Rukmani as early on stage of Mersal Music launch. As per the announcement of Sony Music South, they just started their live streaming on Twitter Persicope. Fans those who all can’t watch the event on TV, can watch it on Online. Totally four songs as per the release of Saavn. The event hosts are VJ Ramya and actor Vijay’s one of close friend actor Sanjeev. AR Rahman is there to celebrate his 25th year by presenting few songs from his movies which all composed in this 25 years. In the stage, the producer Hema Rukmani says that they wish to do another film with Thalapathy. TSL will be slotted as pre Mersal & post Mersal. Actor Parthiben shared his words in his unique way by saying that Ilaya Thalapathi Vijay is one in the world’s fine CM – Collection Mannan. 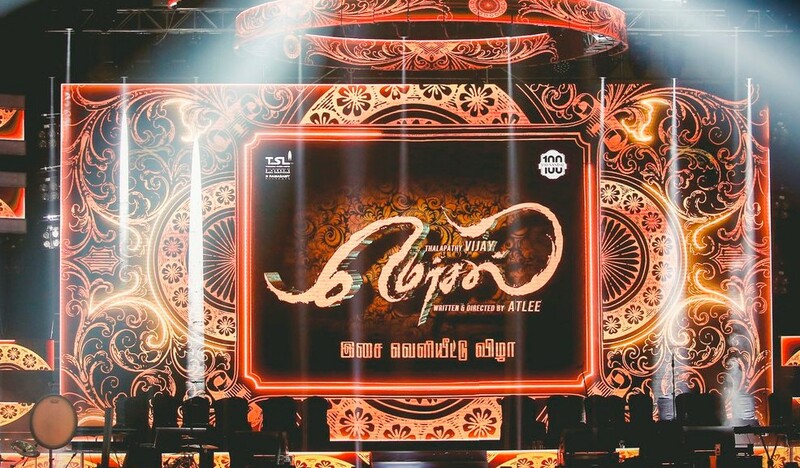 Also the production of Mersal, TSL members were honoured the legends of the Tamil Film fraternity on the stage!